This post contains some affiliate links. This means that if you click through and decide to make a purchase, the price you pay stays the same but I might receive a small commission that helps me keep running the blog. Thanks for your support. 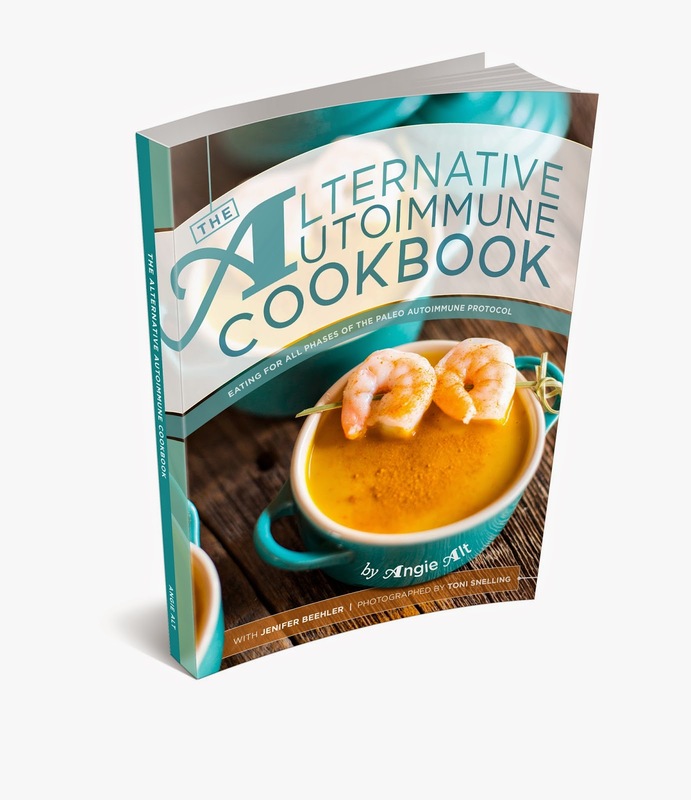 Those of you who follow the autoimmune protocol (AIP) diet will no doubt be aware of Angie from Alt-Ternative Autoimmune. I love reading her social media updates and blog posts because they are always (sometimes painfully) honest, her recipes easy to follow and her whole approach to healing very real and often injected with humour. You'll be pleased to hear, then, that today she has released her cookbook. And it's REALLY GOOD. What I love about the book, having had a sneak peek of it, is that it's not just a list of recipes. There are lots of beautiful-looking, simple dishes and they all look amazing. I'll definitely be trying out a few of these. The photography is bright, colourful and makes you want to get in the kitchen. But what I love most about the book is that Angie deals with a lot of the emotional side of AIP too - how healing affects you emotionally as well as physically, as well as how to cope with the feelings of denial, fear and anger you get when you have a chronic disease (as many of the autoimmune diseases are). The recipes also cater for not only the elimination stage of the AIP but also the time when you're starting to reintroduce certain foods, which can be tricky when you're considering recipes. And guess what? It's in both PRINT and in E-BOOK format. You decide which one suits you best.